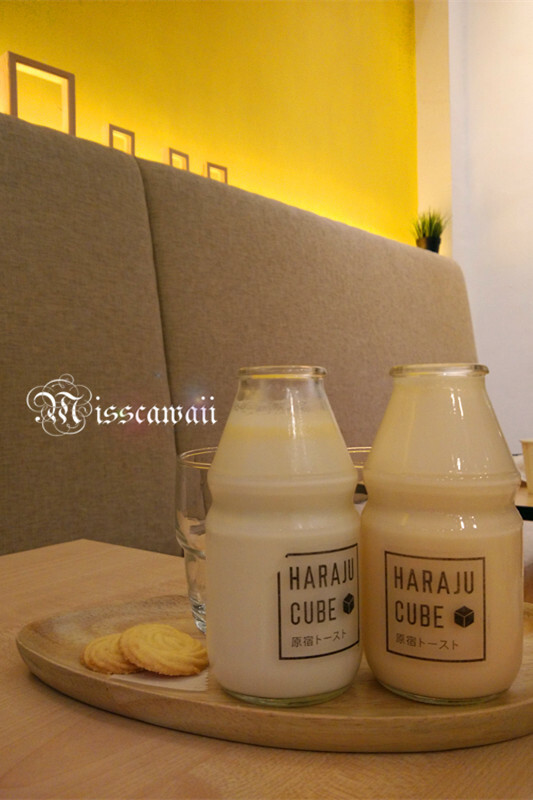 Another day meet up again with dessert 'kaki' and we choose the most famous cafe with the luxury honey toast in town - Haraju Cube! 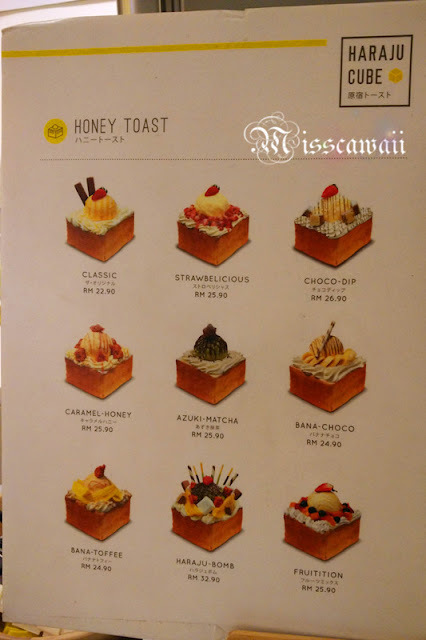 Read from some review, the Haraju Cube is come with concept from Shibuya honey toast and they bring it to Malaysia. We having a queue for about 15 minutes to get a seat. 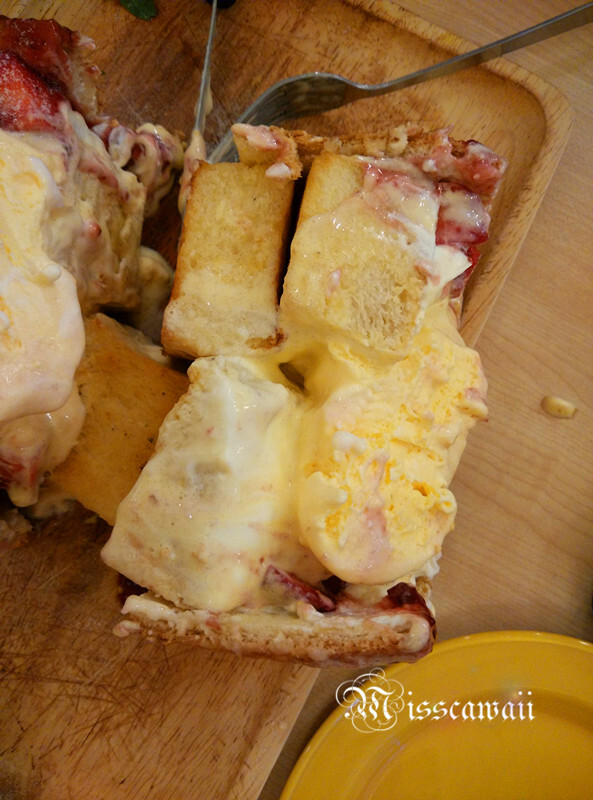 You can imagine how famous on them and everyone come to here just for this beautiful honey toast. 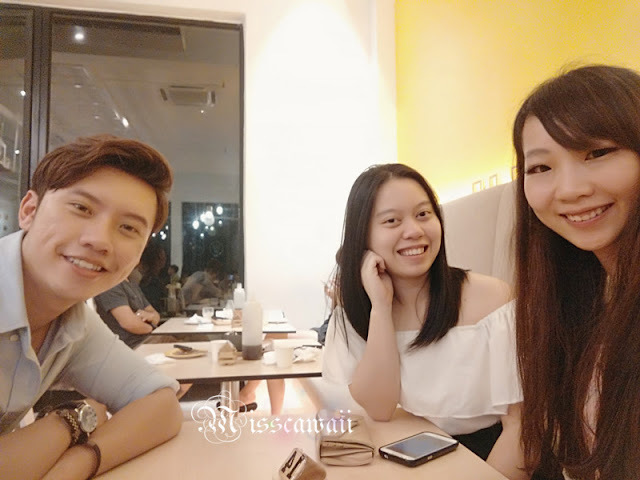 Finally we get a seat and wefie first! 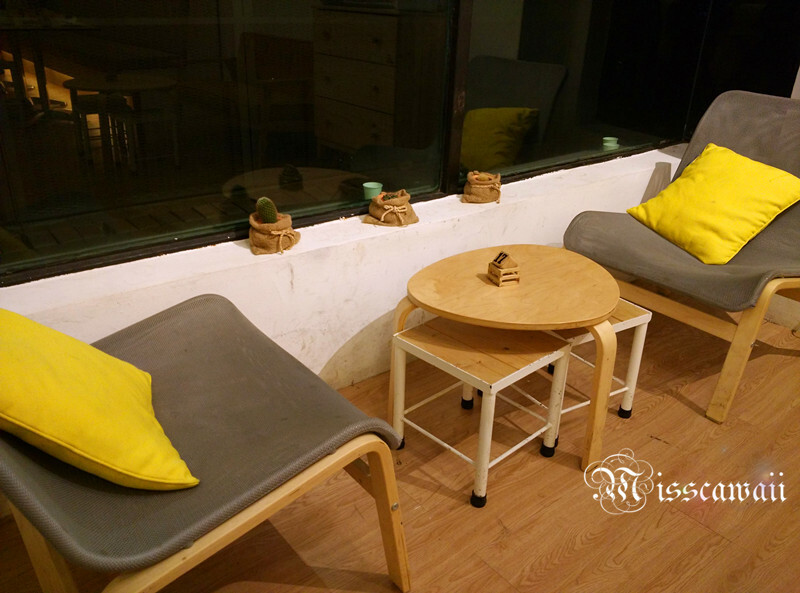 The cafe paint with yellow and white colour giving refreshing feel and bright in the cafe. The lighting here is pretty enough where I could take photo as much as I want. Even it was night, you no need to worry about it! 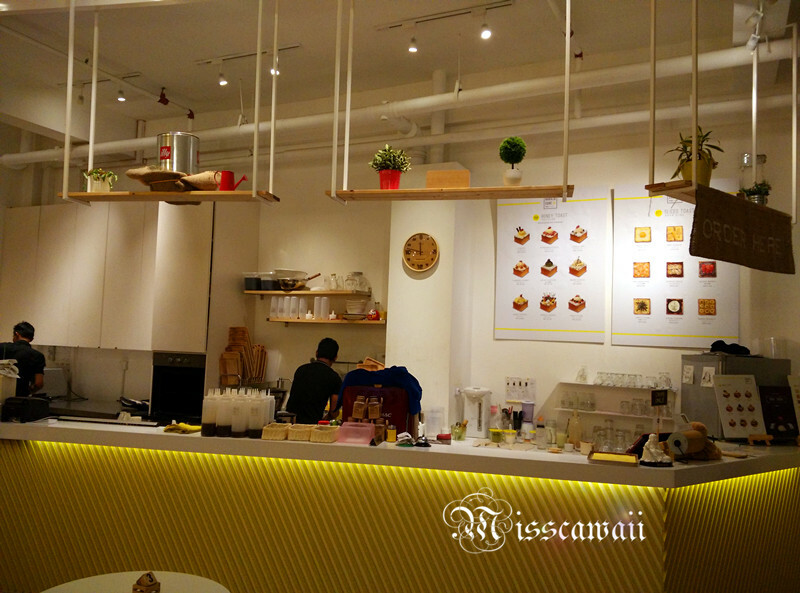 However, the cafe is not spacious at all and you will see it's crowded. But it's still good and relax to be seated, just because of the honey toast, LOL! 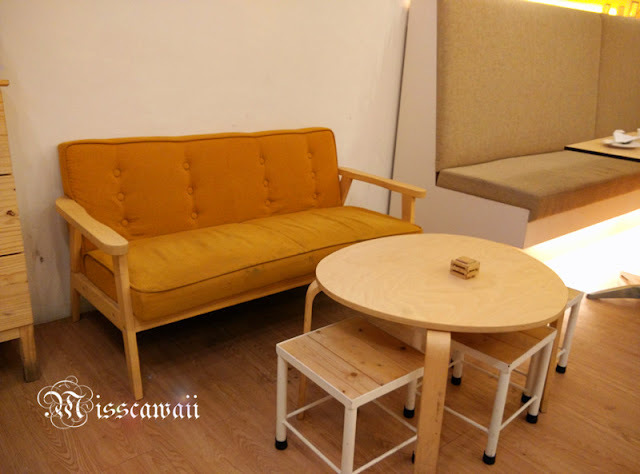 I think I will more relaxing if seated in this sofa, hahahaha! They are having 18 types of toast and finally get 2 for us. 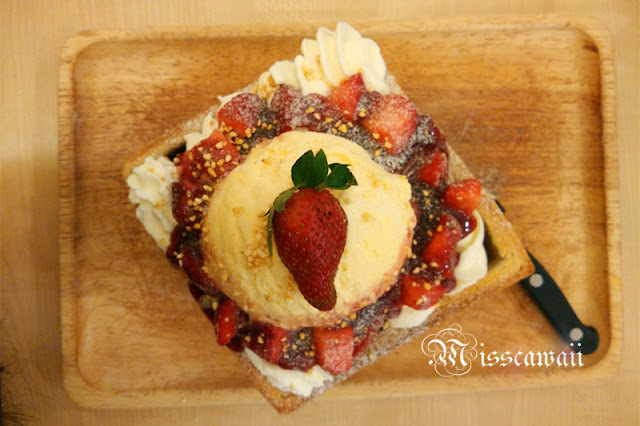 One of the signature toast from them serve with whipped cream, strawberries and vanilla ice cream. There is 8 cube size toast inside and we are totally shocked because it's only 3 of us, how could we finish it? Oh my god. Well, just accept what we have done. The crust of bread is hard and not easy to cut. We skip to eat this and guess a lot of customer do the same way like us. 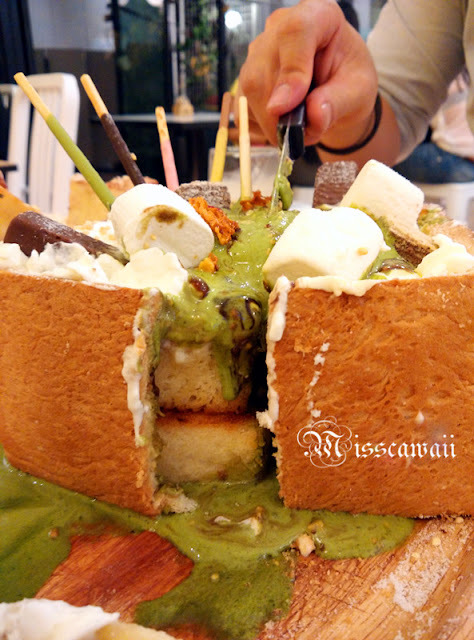 Serve with banana, mash mallow with the choice of green tea ice cream. Not my preference but the green tea flavor not bad. It's look so messy and like a s**t. Not a good way to take photo. We started feel greasy after Strawbelicious. :( I know the photo below is not match with the caption LOL! Milk lover? 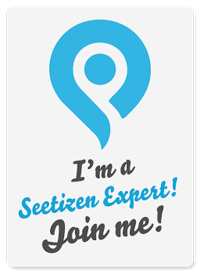 You should try this if you come to here! The milk is smooth and good in taste! Butterscotch is the best seller in their restaurant and yes, it really good! The taste of the toast(cube size) isn't good as Franco. I prefer Franco than this. 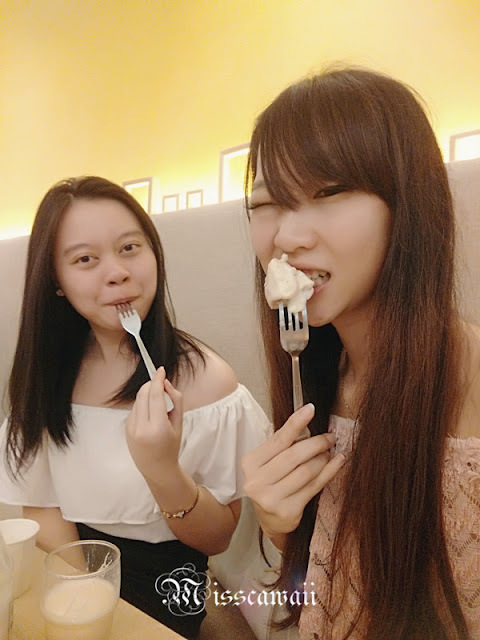 The dessert just good for photo shoot but not in taste. But still worth to try for one. Remember add on your taste with their maple syrup on your toast. 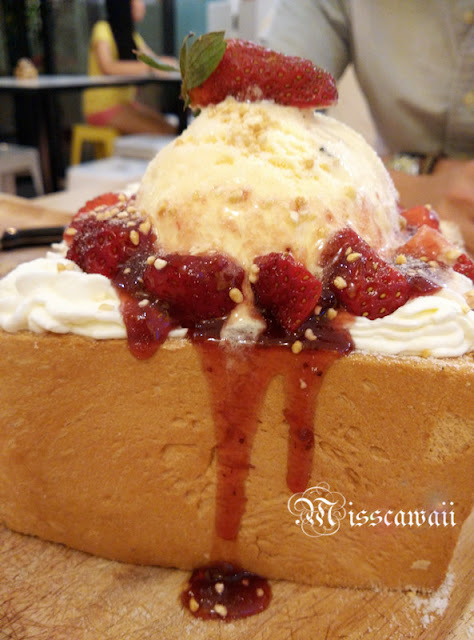 The honey toast looks fantastic. Weekend here I come! I wouldn't want to wait for 15 minutes for my table. I'd probably only visit when their popularity has waned a little. this place look superb! 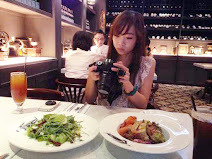 the food look delicious too. Awww! Looks so huge that toast, I think I can't finish it by myself, hahahaha! But I think I won't queue for it, I'm kind of impatient weirdo. Wow... Had to queue for 15 minutes in order to dine in ? 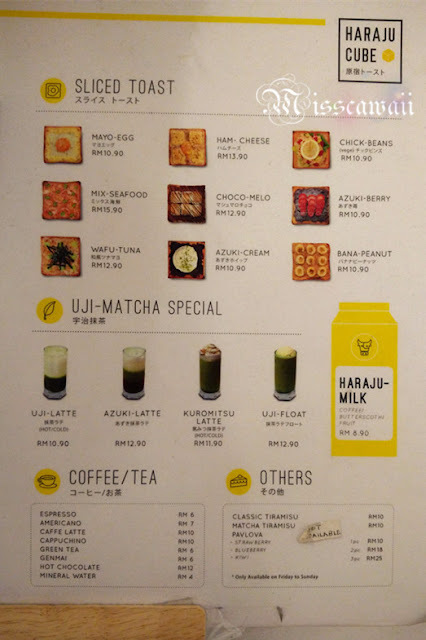 From the food photos, I can understand why peoples willing to do that. I really need to try it myself. I like their presentation of food and first one strawberrilicious is too tempting. omg Strawbelicious make me crazy ! I know this place. 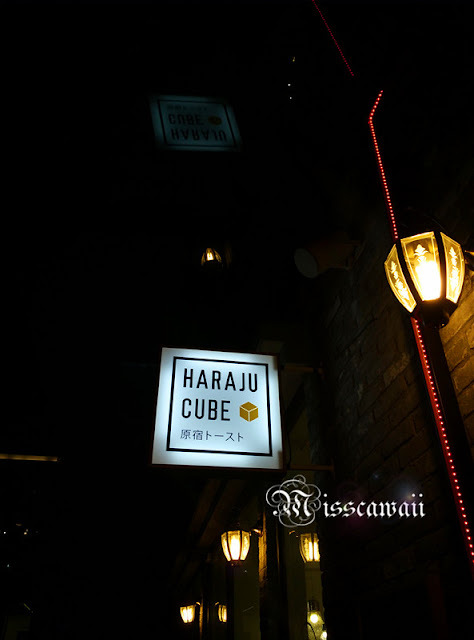 They do provide interesting cubes~ :) That day I was with my friend and ordered Azuki-Matcha and we already fill so full lol. 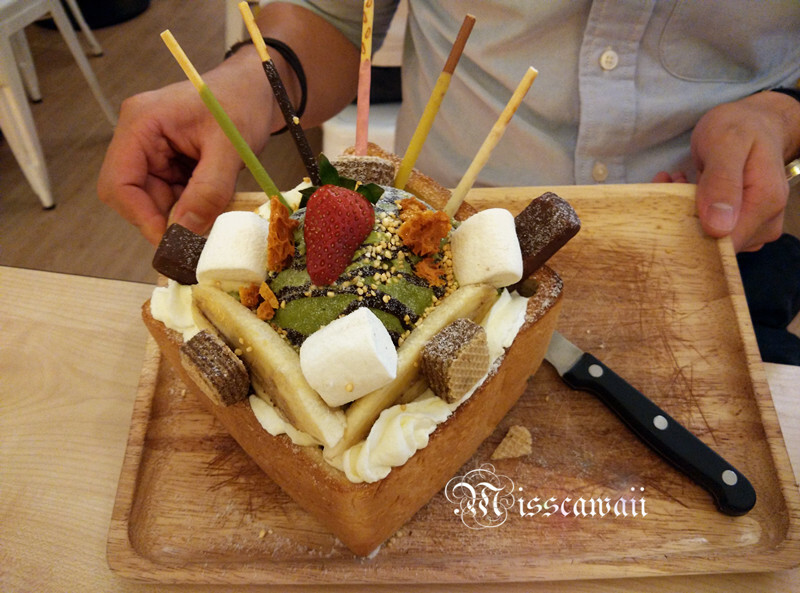 That honey toast looks to die for.. i can just imagine how good it'll taste. Yummmm..